Newspaper clipping - historical article centering on 180 Clarendon Street. It was previously known as Eaglestone Villa, Stanford House, The Arms of Jesus Babies Home, before it was demolished to make way for the Freemasons Hospital. Henry Cooke and Thomas Welton Stanford were among its previous owners. Stanford employed Louise Friedrichs as a maid. She became the mother of William Johnston, whose house and contents have now become The Johnston Collection. Photos. 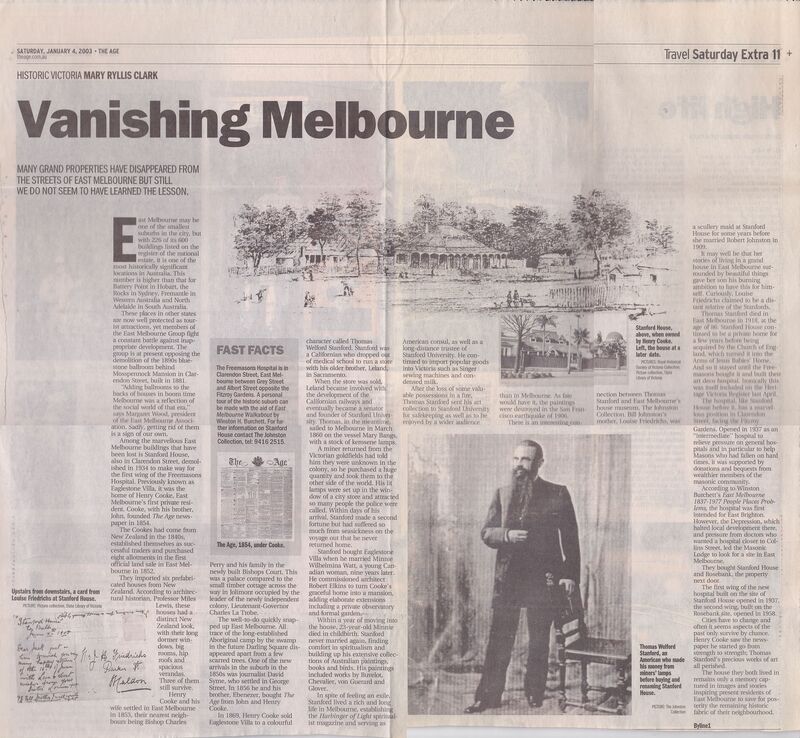 The Age, 4 January 2003.